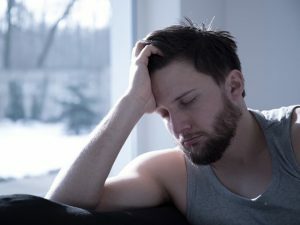 Chronic fatigue is one of the most common conditions treated by health practitioners and one of the most difficult to treat through conventional medical approaches. Our clinic has had particular success in helping energy disorders by treating both the immediate symptom and the underlying causes. The causes for fatigue can be diverse, including long-standing low-grade infection factors (viral, bacterial, or fungal), accumulated toxins, food or environmental allergens, nutritional deficiencies, hormone imbalances, or history of stress or trauma. In our natural medicine center, the first step is to address the energy problem directly with botanical and nutritional remedies, along with physical stimulation of the nervous system and metabolism through acupuncture, hydrotherapy and intramuscular injection of Vitamins B12, B compex, Vitamin C and Magnesium. Then, through an analysis of medical history, physical examination and relevant tests of blood chemistry, minerals, thyroid and adrenal hormones and allergens, the causes underlying the fatigue are treated with effective natural therapy methods to achieve a long-term solution.